Linked Devices combine several devices into one device. Using this function results in controlling the group of related devices as if they were one single device. 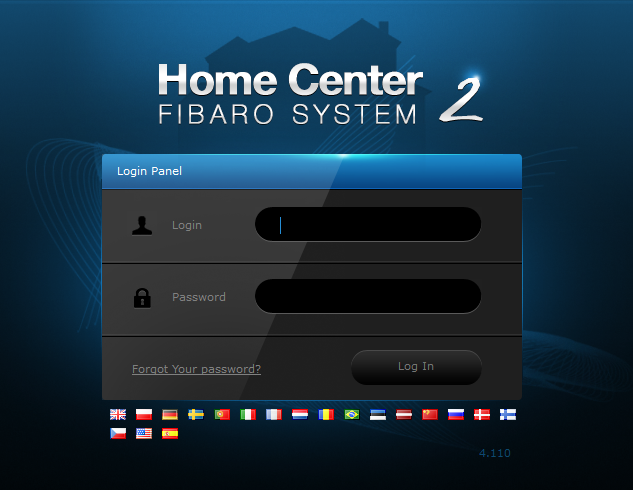 The group will be presented in the HC2 interface as a single device. The Home Center 2 offers four different Linked Devices panels: heating, air conditioning, humidity and video gate. Heating, air conditioning, humidity or/and video gate devices. Heating linked devices was designed to enable link between Relay Switch module and temperature sensor. This link may be used in control of heaters, boilers, floor heating etc. After creating the linked devices, managing and scheduling is done by the use of Heating Panel. 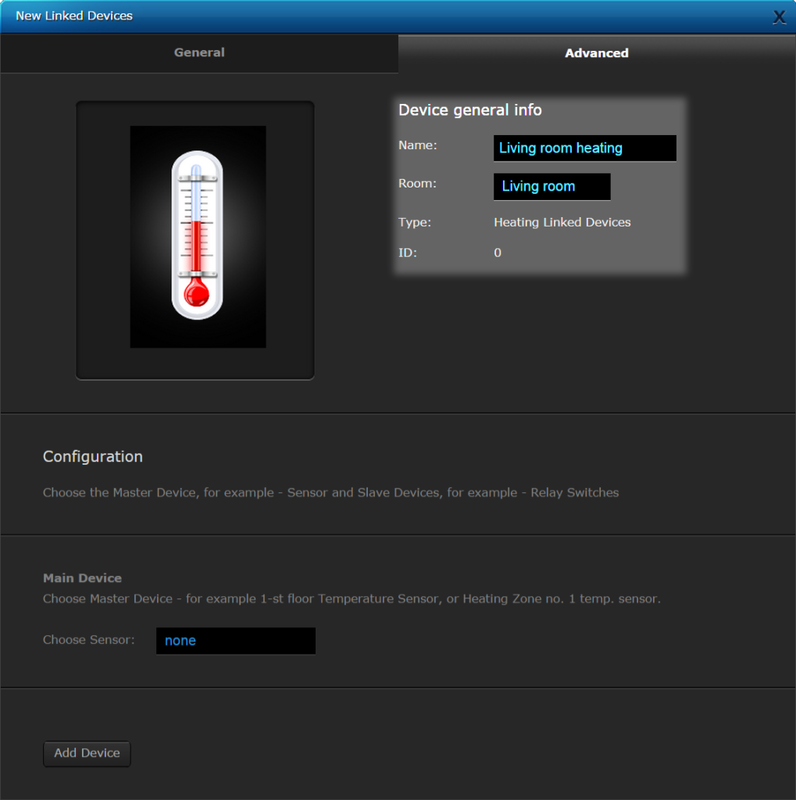 Click “Add” button in the Linked Devices – Heating section of the panel. Type in the name for this linked device and assign it to a room if you want. 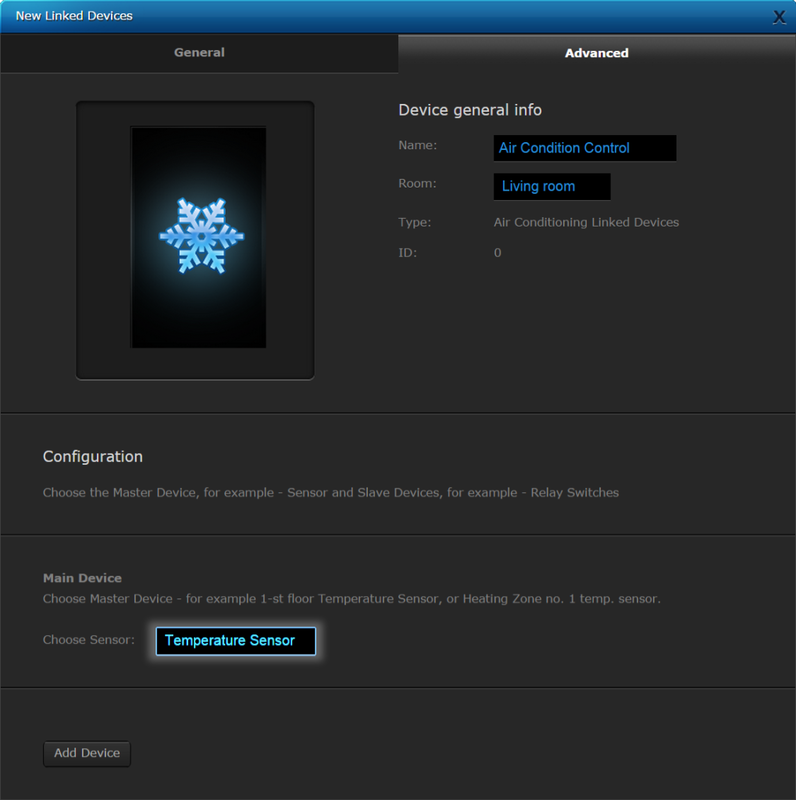 Choose the Main Device – temperature sensor by clicking the box and selecting sensor. Its measurements will control the heating. 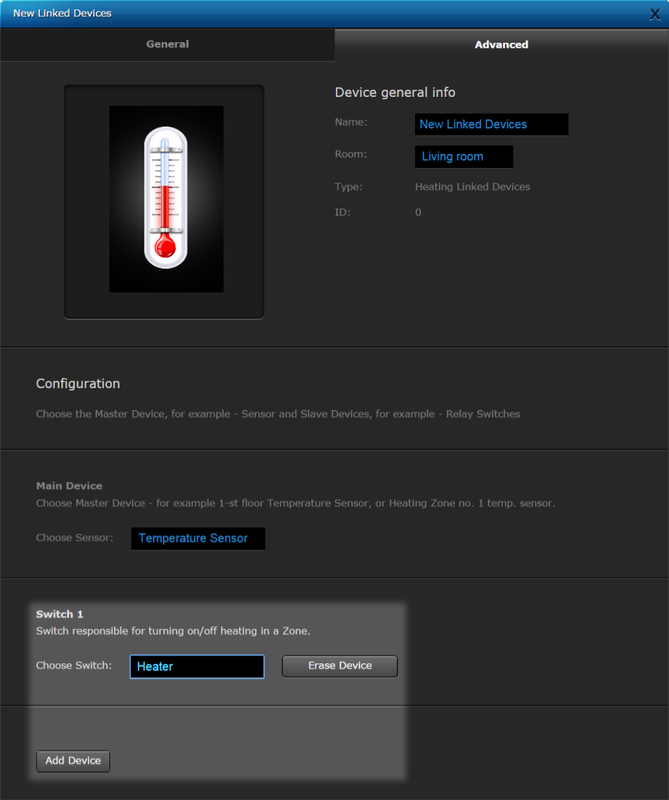 Click Add Device button to add a switch controlling heating device. Choose it by clicking the box and selecting switch. You can add any number of devices. Click the save icon. Then configure schedules using the Heating Panel. Air conditioning linked devices are based on the same principle as Heating Linked Devices. It is possible to add multiple switches turning several air conditioning devices ON/OFF, so that air conditioning in multiple rooms or sections may be operated as a single device. 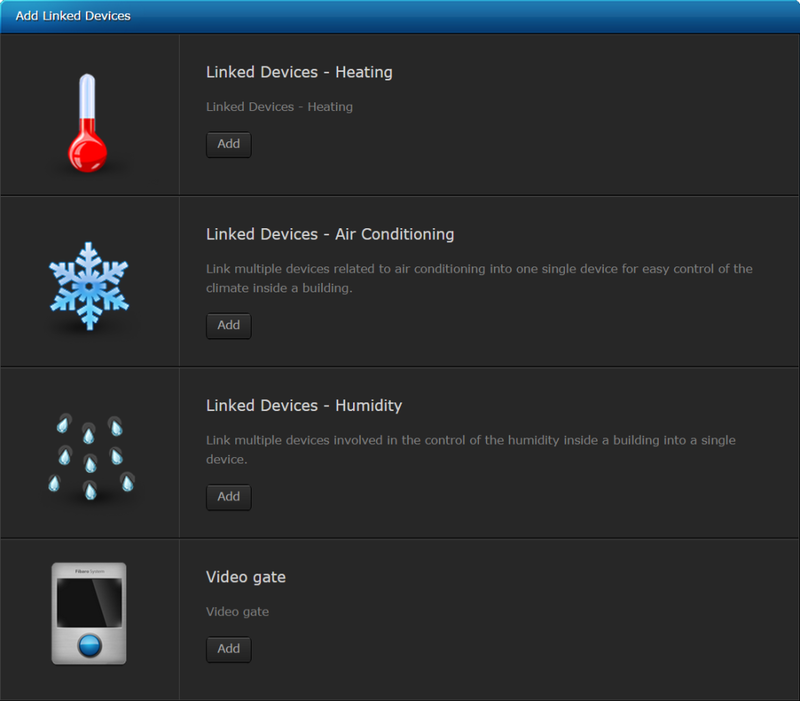 After creating the linked devices, managing and scheduling is done by the use of AC Panel. 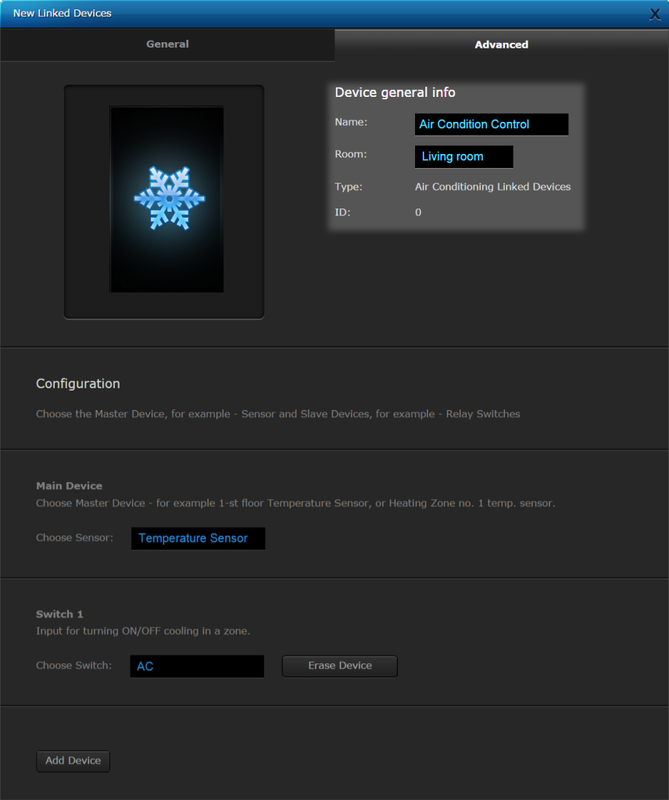 Click Add button in the Linked Devices – Air Conditioning section of the panel. 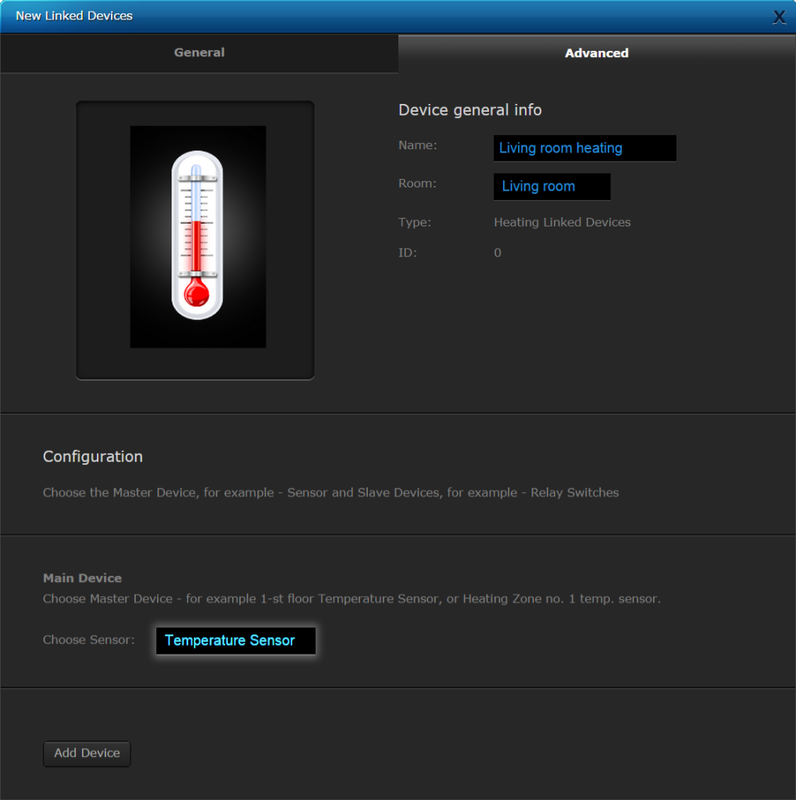 Choose the Main Device – temperature sensor by clicking the box and selecting sensor. Its measurements will control the air conditioning. 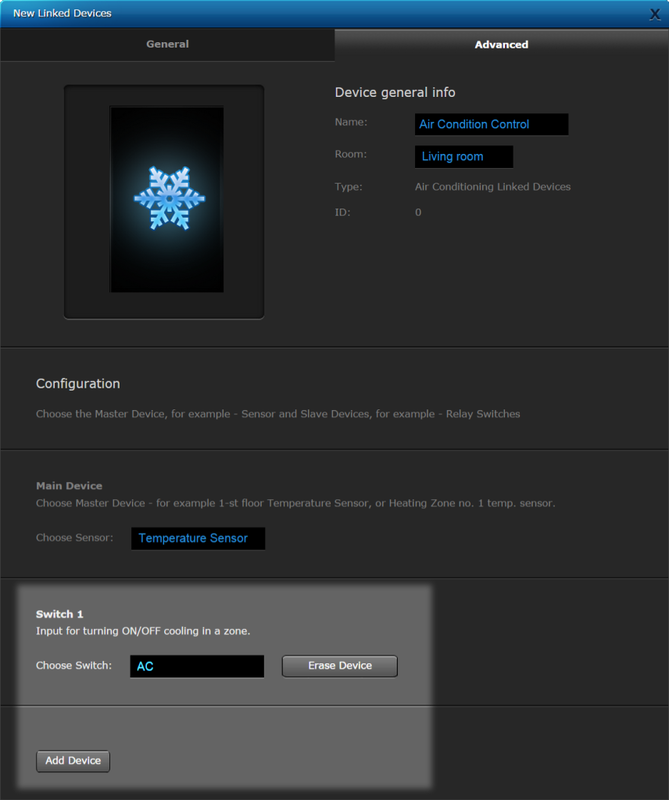 Click Add Device button to add a switch controlling air conditioning device. Choose it by clicking the box and selecting switch. You can add any number of devices. Click the save icon. 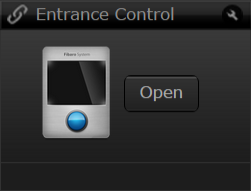 Then configure schedules using the AC Panel. Humidity linked devices was designed to enable link between Relay Switch module and humidity sensor. This link may be used in control of e.g. humidifiers. 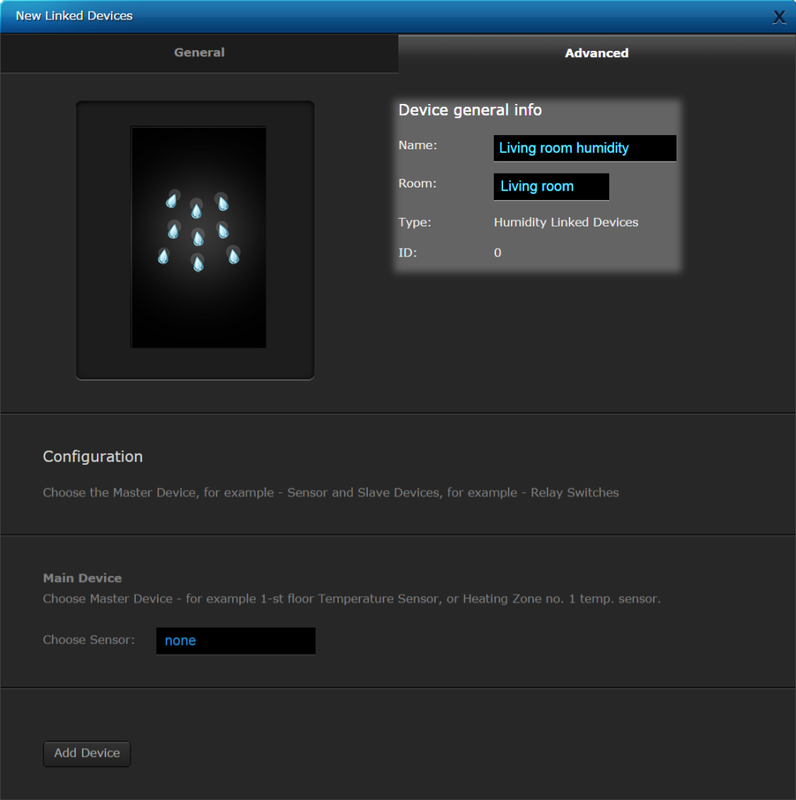 After creating the linked devices, managing and scheduling is done by the use of Humidity Panel. 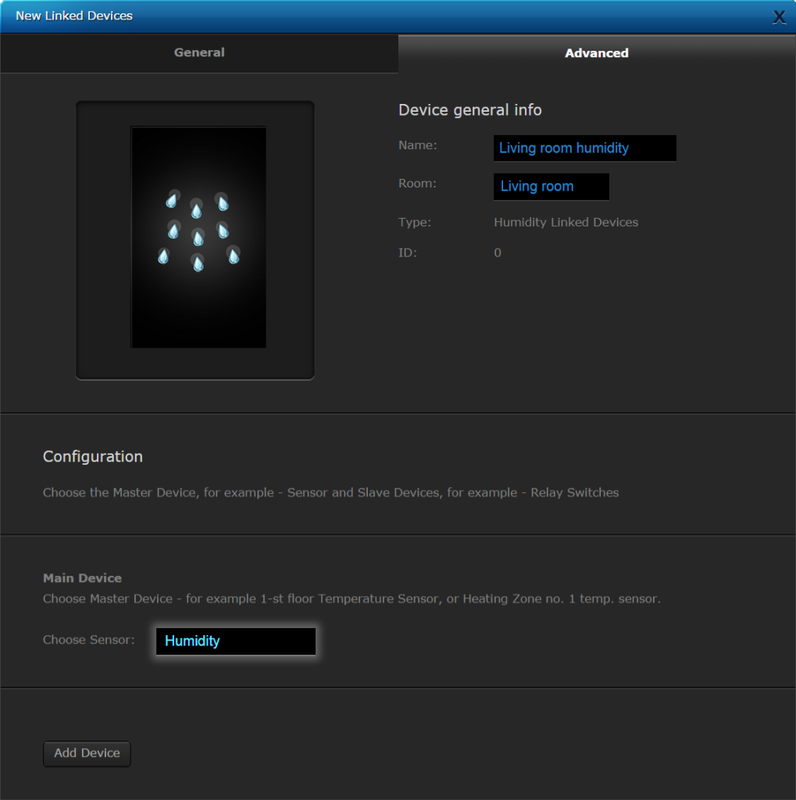 Click Add button in the Linked Devices – Humidity section of the panel. Choose theMain Device – humidity sensor by clicking the box and selecting sensor. Click Add Device button to add a humidity management device. Choose it by clicking the box and selecting switch. You can add any number of devices. Click the save icon. Then configure schedules using the Humidity Panel. The Video Gate is a link between three devices – an IP camera, the module responsible for opening the gate and the module responsible for triggering the doorbell. After the link has been created, the video gate may be controlled via an iPhone. To create the video gate, three devices must be added to the link: an IP camera overlooking the gate, a Relay Switch used to open the gate and a Relay Switch connected to the doorbell. 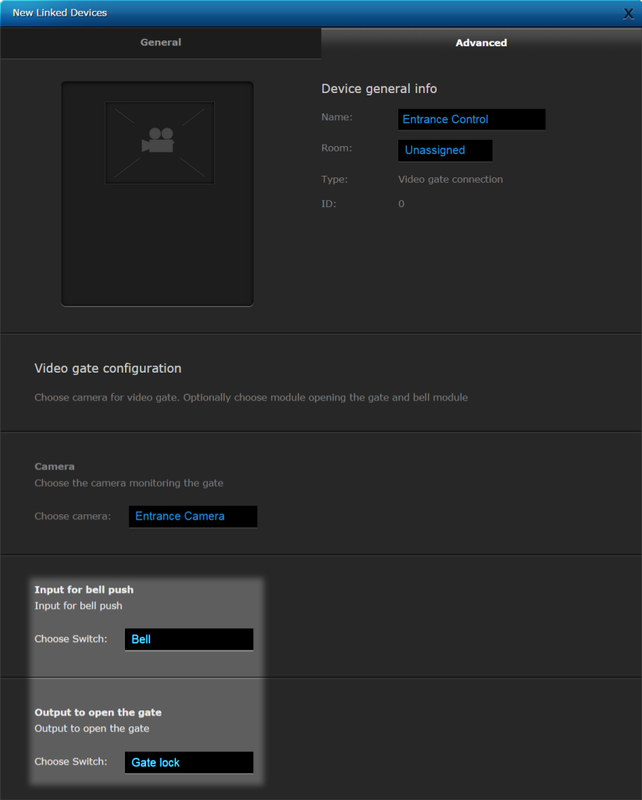 Click Add button in the Linked Devices -Video Gate section of the panel. 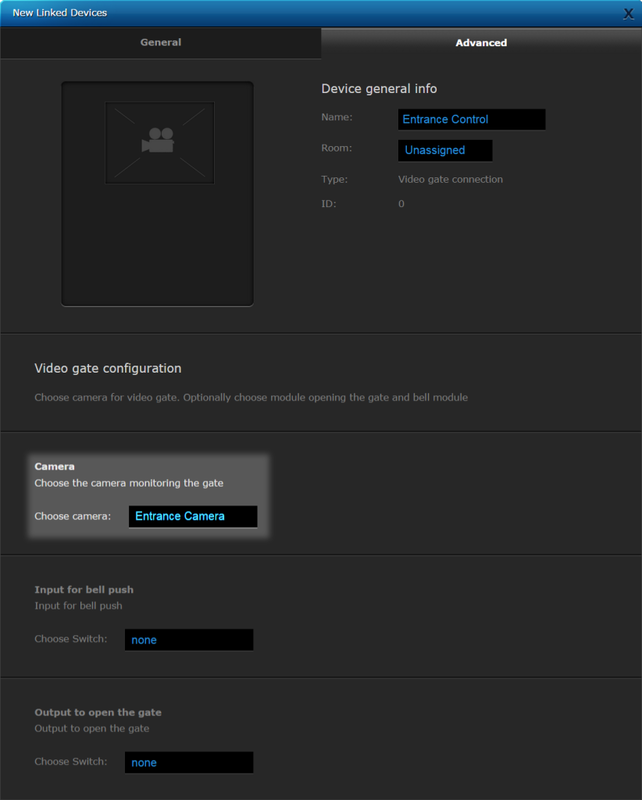 Choose the camera monitoring the gate by clicking the box and selecting it. Choose switch connected to the doorbell and another switch which opens the gate. 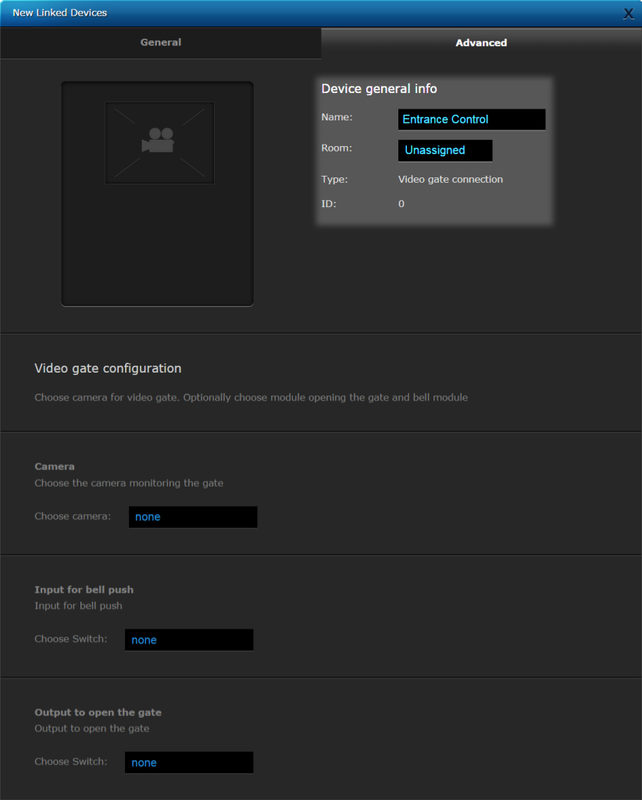 New device will be available in Devices section, allowing you to control access.